The two pocket wrist wallet is the safe, fun, and stylish way to carry your valuables when you are on the go. Our patented no-zipper hooded pocket opens easily, with no fumbling, and can fit today's larger smart phones and electronic devices. The secure zipper pocket on the back is the perfect storage for your fitness tracker, keys, and other valuables that you carry on the go. Great for travel, jogging, going shopping or the gym, and for any time you want to lighten your load. |ACTIVITY TRACKER & PHONE STORAGE| Tired of using your uncomfortable FitBit band? The Banjees Wrist Wallet is a great substitute for those looking for a more comfortable and lightweight option. The Banjees Wrist Wallet also fits today's largest smartphones including but not limited to all iPhone and Samsung Galaxy models (tight fit). |LIGHTWEIGHT & STRETCHY| Made of our custom PolySpandex fabric blend, the Banjees Wrist Wallet is very light and stretches to fit a variety of items. Some of our customers even depend on the wrist wallet to hold their inhalers and other medical devices. The fabric is very durable and has been in use and constantly improved for the past 10 years. The fabric is also machine washable. |2 POCKET STORAGE| This version of our Banjees Wrist Wallet has 2 pockets. 1 zippered pocket and 1 fold over pocket. 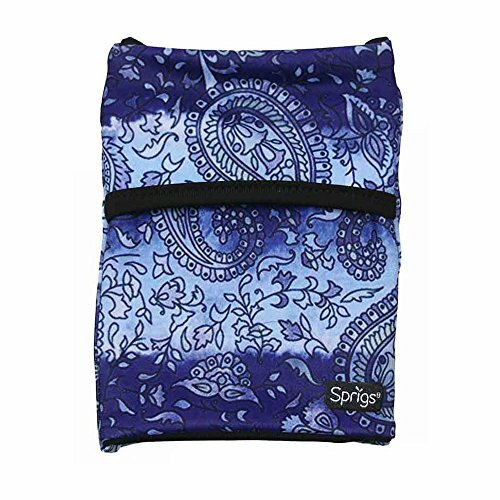 The zippered pocket is typically used for your more valuable goods. The fold over pocket has more give, so most customers use it for their larger phones and other bulkier items. |MULTI AVTIVITY USE| The wrist wallet is not only great for traveling but many other activities. Other common uses of the wrist wallet include but aren't limited to: running, walking, fishing, camping, hiking, music festivals/concerts, trade shows, and so much more!